« How Many American Intelligence Agents And Assets Are DEAD Because Of Hillary Clinton’s Incompetence And Narcissistic Paranoia? 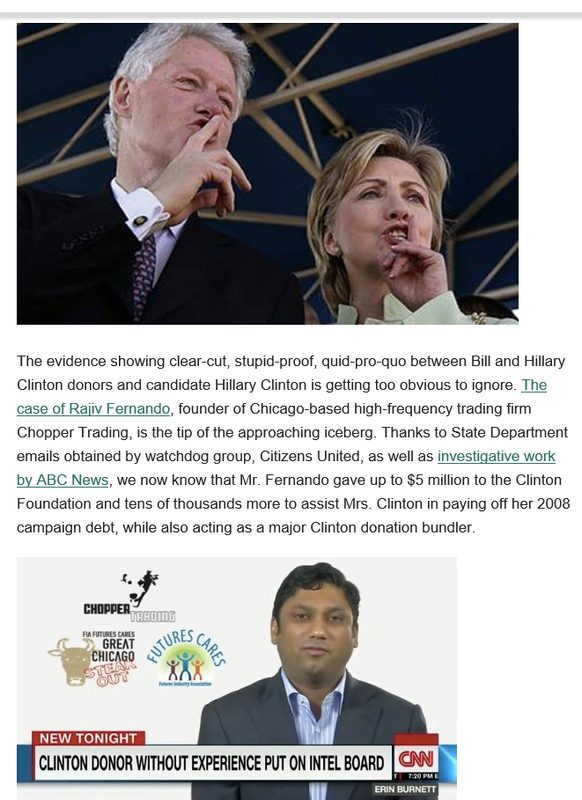 This entry was posted on August 10, 2016 at 12:37 pm and is filed under Conservative Issues, Democrats, fascism, Hillary Clinton, Media, Politics, terrorism. You can follow any responses to this entry through the RSS 2.0 feed. You can skip to the end and leave a response. Pinging is currently not allowed. This article is very misleading. Here is why. I will only speak to Trump’s Second Amendment comments. It will be useless to to speak to the rest of the items in the articles. The article fails to acknowledge that picking judges only happens when a person has ascended to the presidency. So, when Trump said, ““By the way, and if she gets to pick her judges, nothing you can do, folks..” It literally means there is nothing ordinary people can do to stop a President Clinton from picking judges. Had Trump stopped there, it would have been fine. But, he did not, instead, he suggested that the Second Amendment people could stop her. That is a reckless comment, let him own up to it. How can you not see what is said and still blame the media. Trump is acting like a child. Be fair and say the truth. If conservatives are aligning with the Christian Right then it is important to be truthful. It is very dishonest to bend the facts to fit your political objective. Either you do away with the Bible verse or follow the teachings of the Bible by being truthful. For the record, I am NOT suggesting that Trump is not acting like a child. But you need to understand that there’s a whole lot of other stuff going on at the very same time on the other side that was NOT covered. 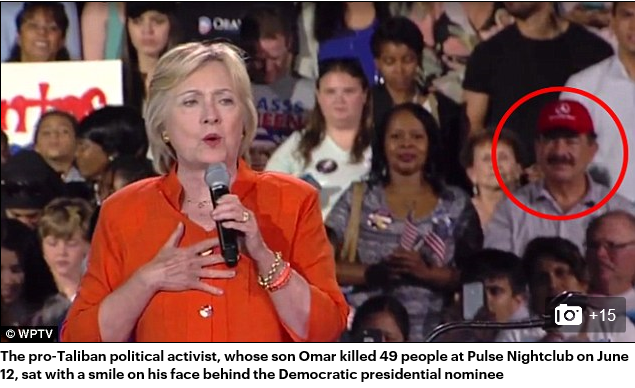 Hillary Clinton had as a featured guest at her rally in Florida the father of the Orlando terrorist shooting. He sat right behind her in a venue that is ALWAYS carefully vetted and almost always reserved for VIPs and people that the campaign wants to feature. That got virtually no coverage. Hillary’s latest scandal documenting that she did favors for bigwigs who gave big donations to her Foundation was barely in the news. So I shine it back at you: how is it that you aren’t capable of caring that the Democratic Party is in bed with terrorists and that your candidate is corrupt and in fact criminal??? What does it say about you as a person that you gleefully follow a media that is relentlessly biased against one candidate and ignores the numerous “issues” of the other??? And the answer is that any legitimate journalists would cover him the way any legitimate surgeon would operate on him: OBJECTIVELY and HONESTLY and FAIRLY and WITHOUT BIGOTRY or HATE. But your side is not capable of that. You left out the part where Hillary Clinton actually USED the word “ASSASSINATE” in her previous “slip.” She said she was going to stay in the race because, you just never know, somebody might take my cue to off Obama the way somebody once offed Robert Kennedy. You left out the part where Obama talked about “Chicago style” politics and said, “They bring a knife, we bring a GUN.” Because Democrats are people willing to sink to whatever level of violence they need to sink to in order to win. Now the media has moved on in its constant barrage of Trump by attacking his comment that Obama and Hillary Clinton are FOUNDERS of ISIS. Let’s forget that terrorism will skyrocket one-thousand nine-hundred percent under Obama’s presidency based on the number of deaths worldwide which was about 3,000 when he took office and will be upwards of 60,000 a year as he leaves. Do the damn math. The media is slavering like vicious dogs at that, claiming that Trump thus believes that Obama and Hillary actually went to the Middle East and recruited the terrorists and set up the funding for it and all that. Did they so attack Obama and Hillary when both of them said that Trump was not only a recruiter for ISIS but ISIS’ BEST recruiter??? Did they get all logical and literate in their analysis then, and say wait a minute, Trump isn’t an official recruiter for ISIS how the hell can you say that??? Nope. They only use that when it helps them. I REBUKE you for leaving that context out of your comments the same way I rebuke the MEDIA for leaving it out. Because what Trump said sounds a lot different when you realize that both the president and Trump’s own opponent for president have BOTH said things every bit as bad or I think WORSE. Rather, the media suggested that Trump threatened assassination and he didn’t SAY that word and Hillary DID say that word. But you don’t care because you are not capable of honesty or integrity or actual legitimate balance where both sides get criticized fairly.